A battle to prevent the spread of the dengue virus is being waged in Cairns following the confirmation of 55 cases there over the past few weeks. Health authorities in the Australian city say it is believed the outbreak of dengue fever was brought back by people visiting Thailand, emphasising the importance of travellers taking out medical travel insurance. Most of the Cairns cases have come in the Edge Hill and Whitfield areas. 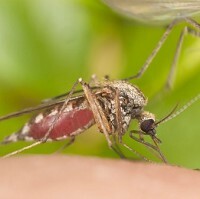 Most properties in those areas have now been sprayed to kill mosquitoes that carry the virus and eradicate their breeding areas, Dr Richard Gair, of the Cairns Public Health Unit, said. The measures, he said, would hopefully cut the number of cases arising over the next couple of weeks. Dr Gair said with the outbreak caused by an imported case, it was vital people travelling to destinations such as Thailand and Bali used mosquito repellent to avoid the risk of taking the virus back home. He added: "If we don't get imported cases we wouldn't get outbreaks. Now we get imported cases all around Australia all the time but it's only in the north Queensland region that we have the mosquito that can pass it on to other people."